All in all, this is hands-down the BEST DEAL ANYWHERE for Monarch! Monarch is an interactive, Internet-based Christian homeschool curriculum for grades 3-12 that's compatible with most web browsers on a Windows® or Macintosh® operating system. 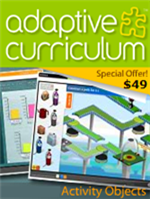 Dynamic, Media-rich Lessons: Bring learning to life with over 50,000 multimedia elements! Immerse your child in an enriching, multi-dimensional educational experience that includes video clips, audio files, challenging games, interactive exercises, and more. Core Subjects & More: Monarch offers Bible-based online lessons in the five core subjects of Bible, History and Geography, Language Arts, Math, and Science, as well as a wide variety of enriching electives. Automatic Grading: Enjoy freedom from paperwork! Automatic grading and recordkeeping conveniently record lesson assignments, test scores, and upcoming assignments for more hands-on teaching time. Anytime access, no installation: Perfect for your on-the-go schedule, Monarch's Christian homeschool curriculum is accessible around the clock with a browser and Internet connection. With just a username and password, you're curriculum-ready in seconds. No need to wonder if Monarch is the right curriculum for you -- give it a try and find out! IMPORTANT: At the end of your trial, you'll be asked by Alpha Omega to purchase a month-to-month subscription. If a month-to-month plan works best for you, go ahead, but you won't get the Co-op's discount or bonus SmartPoints. If you know you want an annual subscription or 5-subject set for 18 months, your best bet is to come back to the Co-op to purchase so that you get our discount and bonus SmartPoints. Visit the Alpha Omega website for more information on Monarch. View a comprehensive video overview. 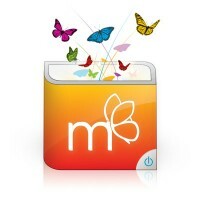 Check system requirements for Monarch. 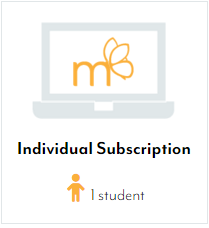 Fulfillment: Within 15 minutes of receiving your order, the Co-op will post a special link in your "My Subscriptions" page that you can use to activate your new Monarch subscription(s) on the Monarch website. Simply sign into your Co-op account and look in the 'Monarch" section on your "My Subscriptions" page for instructions and the link. You will receive your SmartPoints within minutes of placing your order. Returns/Cancellations: Alpha Omega Publications does not offer a refund for Monarch. Please sign up for a FREE 30-day trial -- before purchasing to ensure this is the right curriculum for you. IMPORTANT: At the end of your trial, you'll be asked by Alpha Omega to purchase a month-to-month subscription. If a month-to-month plan works best for you, go ahead, but you won't get the Co-op's discount or bonus SmartPoints. If you know you want it for a full year, your best bet is to come back to the Co-op to purchase so that you get the our discount and bonus SmartPoints. Best Value! Get an all-in-one curriculum for a full year for less than $200/student! 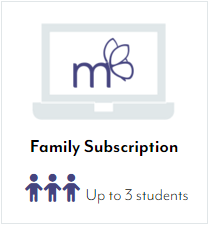 Simply assign your students to your family subscription, and then assign courses to each student. You can assign one course at a time per core subject to each student. When they complete a course, you can assign another course in the same subject category. Assign any grade for any subject to any student -- a great option for students who are more advanced in one subject than others! Please note that electives are not included but can be purchased separately here: Buy Monarch Electives. Simply assign one course at a time per core subject. When your student completes a course, you can assign another course in the same subject category. Assign any grade level of any subject -- a great option for students who are more advanced in one subject than others! Enjoy the benefits of an online education for less with the Monarch 3rd Grade 5-subject Set. 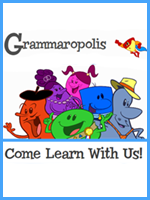 18 months of online lessons in Bible, history and geography, language arts, math, and science. 24/7 accessibility with Windows® or Macintosh® systems. A Bible-based curriculum that enhances learning with vivid graphics, videos clips, audio files, animations, interactive timelines, and learning games. 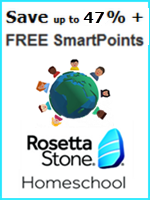 No shipping costs and no installation, so you can homeschool from anywhere in the world. Comprehensive review questions, quizzes, and unit tests to easily evaluate your child's progress. Real-time content updates and time-saving features like automatic grading and lesson planning. Make your homeschooling easier and give your child a multi-dimensional learning experience. Enjoy the benefits of an online education for less with the Monarch 4th Grade 5-subject Set. Enjoy the benefits of an online education for less with the Monarch 5th Grade 5-subject Set. Enjoy the benefits of an online education for less with the Monarch 6th Grade 5-subject Set. Enjoy the benefits of an online education for less with the Monarch 7th Grade 5-subject Set. 18 months of online lessons in Bible, history and geography, language arts, math, and General Science I. Enjoy the benefits of an online education for less with the Monarch 8th Grade 5-subject Set. 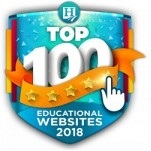 18 months of online lessons in practical Christianity & church history, history and geography, language arts, Pre-algebra, and General Science II. Enjoy the benefits of an online education for less with the Monarch 9th Grade 5-subject Set. 18 months of online lessons in New Testament Survey, World Geography, English I, Algebra I, and Integrated Physics & Chemistry. Enjoy the benefits of an online education for less with the Monarch 11th Grade 5-subject Set. 18 months of online lessons in Bible Doctrine, American History, English III, Algebra II, and Chemistry. The Monarch 11th Grade 5-subject Set also includes Comprehensive review questions, quizzes, and unit tests to easily evaluate your child's progress. Enjoy the benefits of an online education for less with the Monarch 12th Grade 5-subject Set. 18 months of online lessons in Christian Faith & Living, government and economics, English IV, pre-calculus, and physics. The Monarch 12th Grade 5-subject Set also includes Comprehensive review questions, quizzes, and unit tests to easily evaluate your child's progress. Plus, this Alpha Omega curriculum includes Real-time content updates and time-saving features like automatic grading and lesson planning.